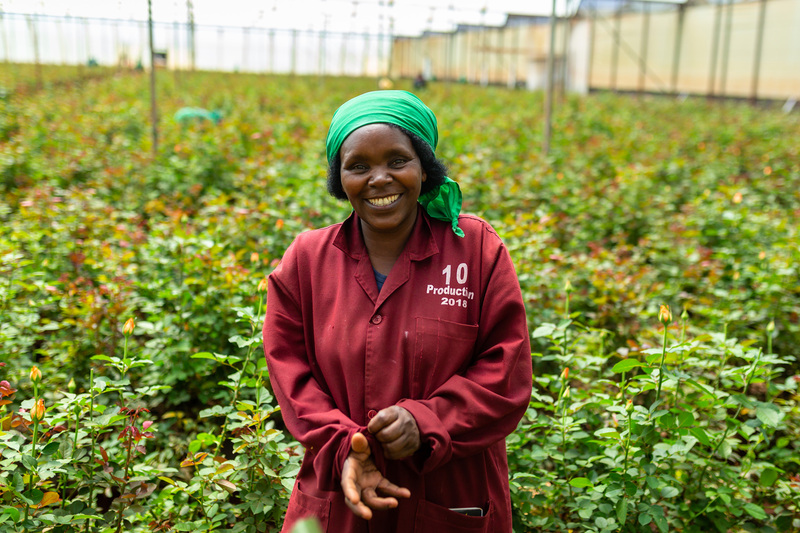 Valma, employed at Magana Flowers (Kenya) since 2001. “Nowadays, we get prolonged cold weather. We need the heat and humidity for the flowers. We no longer get it like before.” Shot for the International Trade Center, on an assignment on the theme of climate resilience, in November 2018.